Efforts to improve highways across the county have been recognised through Essex County Council being shortlisted for a National Transport Award. The Council will find out later this week (8 Oct) if it has secured the coveted Transport Local Authority of the Year award at a national ceremony in London. The nomination comes just three years after Essex County Council entered into a productive partnership with highways services provider, Ringway Jacobs. 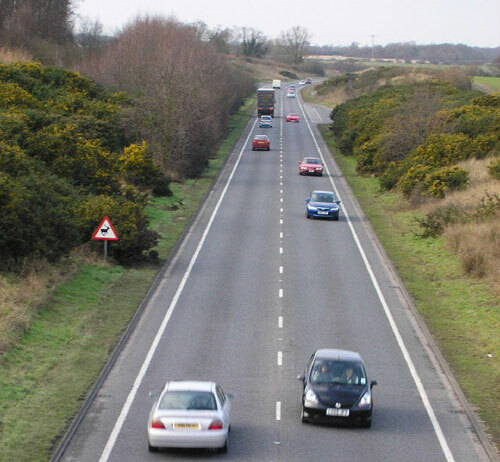 Councillor Rodney L Bass, Cabinet Member for Highways and Transportation, said: “Keeping Essex’s roads moving is an integral part of supporting growth and business throughout the county. “The tireless effort and dedication consistently demonstrated by our people, both on the ground and behind closed doors, deserves this national recognition. This year saw the number of unrepaired potholes and carriageway defects on the county’s busiest roads fall by 70% in the three months leading up to July, compared with the same period in 2014. The crackdown on road defects was just one of a number of initiatives brought in this year in a bid to improve travel for Essex residents and businesses. Other Essex-based nominees for the National Transport Awards include London Stansted Airport and London Southend Airport, both of which have been nominated for Airport of the Year. Photo credit:© Copyright Roger W Haworth and licensed for reuse under this Creative Commons Licence.